I love bread. All kinds of bread. 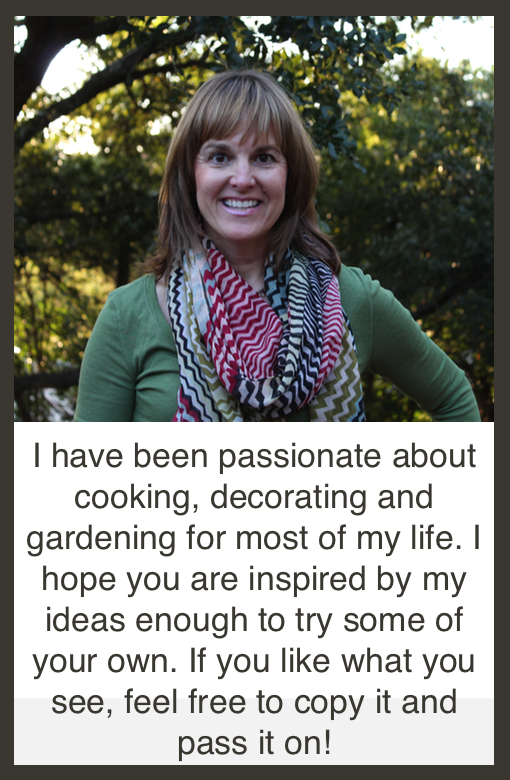 I especially love bread that I can make when I decide I need some and haven't planned hours ahead. This is one of those fast and easy recipes. Tonight I made it with garlic and red pepper flakes, but you can make it any flavor you like by substituting with other herbs. Making chicken for dinner? Try making this recipe with 2 TBL of fresh chopped rosemary instead. Making something Italian? Just add Parmesan cheese and basil in place of the garlic and red pepper flakes. Do you get the idea? It's incredibly versatile. 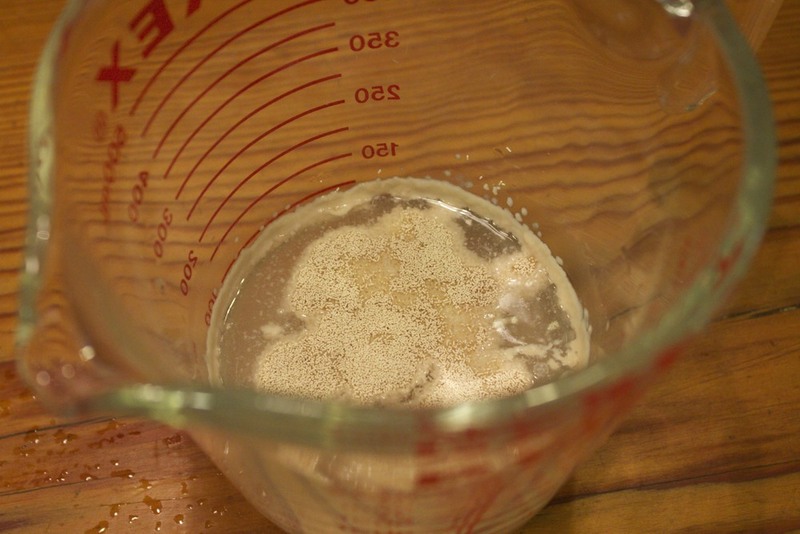 Start by proofing the yeast in 1/4 C warm water. You'll know it's ready when it starts to puff up and bubble around the edges. If it doesn't do this, then your yeast is old and you need to throw it away and start over with good yeast. 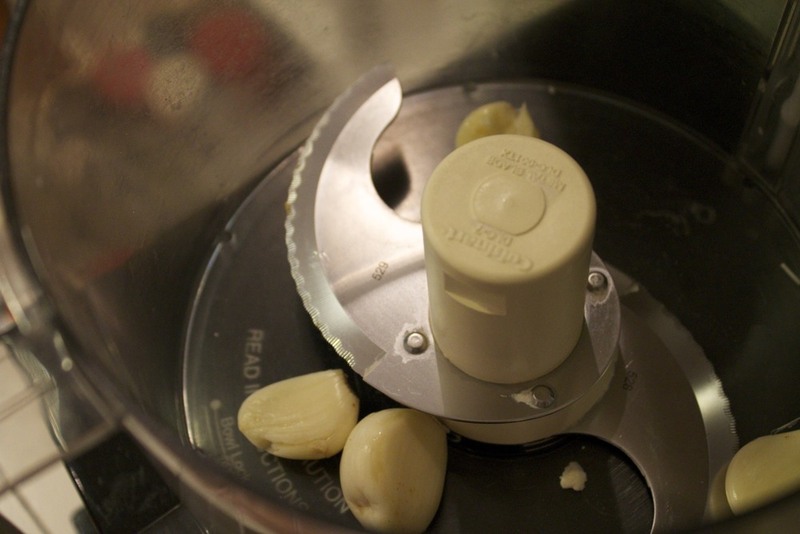 Next, remove the skins from the garlic cloves and add to the bowl of your food processor. Process until you have small bits. 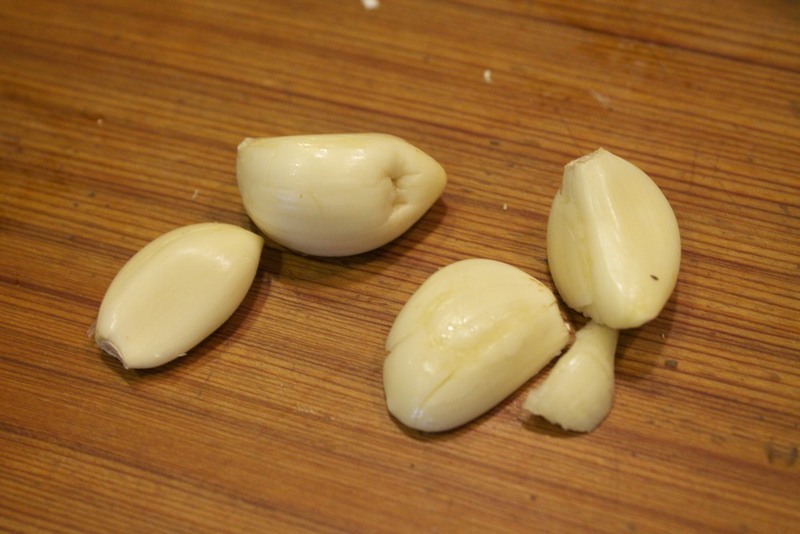 Now add the flour, salt, and red pepper flakes to the garlic and pulse to combine. 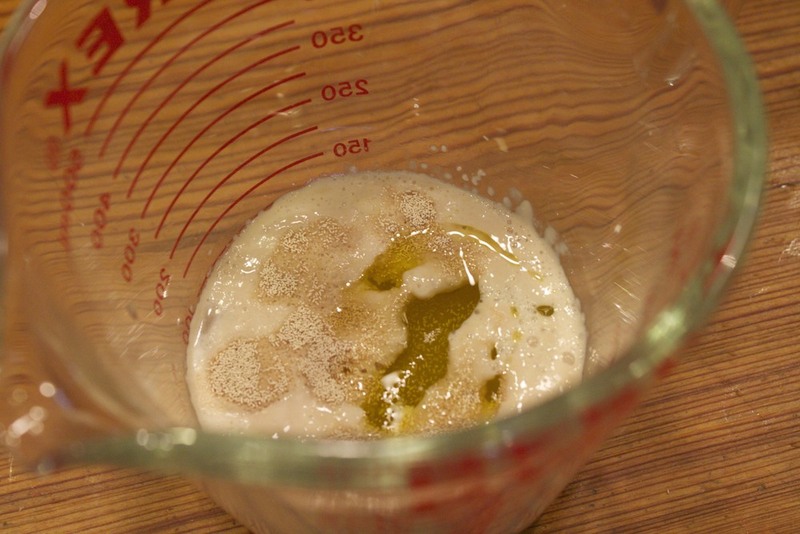 Add the olive oil to the proofed yeast mixture. 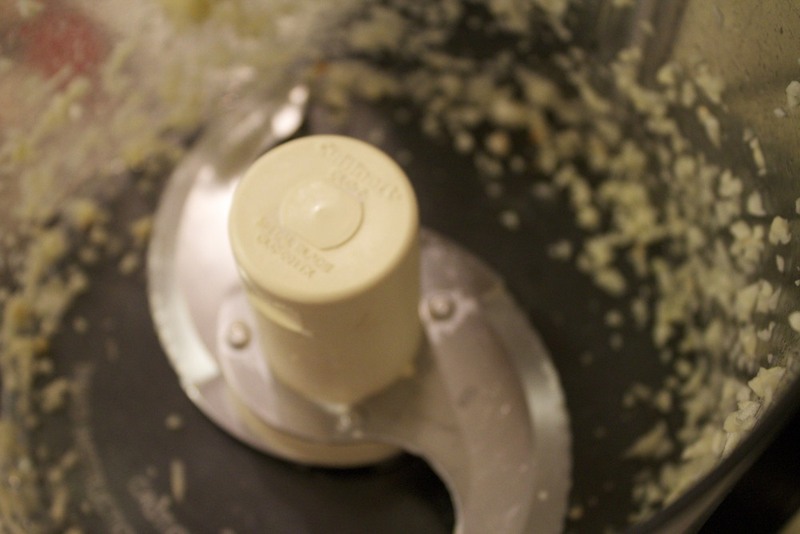 With the food processor running, slowly pour the yeast mixture into the flour mixture. 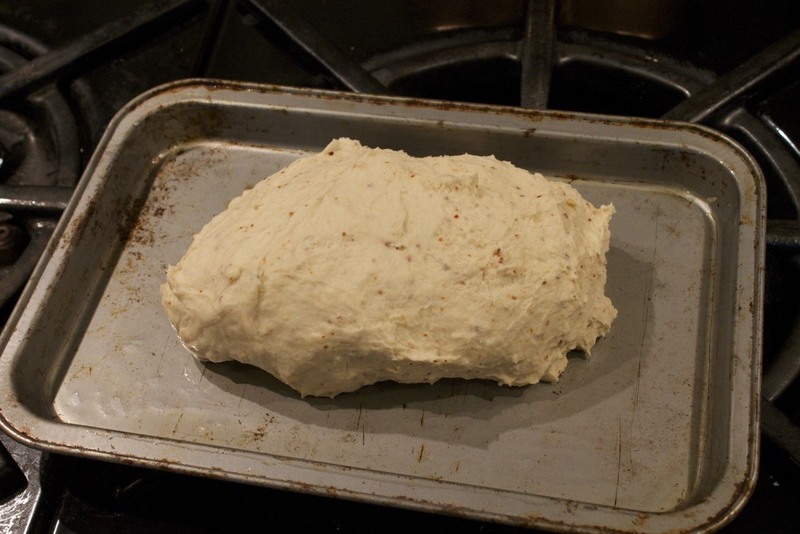 You will need more water, so add about 1/4 a cup at a time, stopping when the dough first comes together in a ball. I know these aren't very specific directions, but I seem to add a different amount every time. 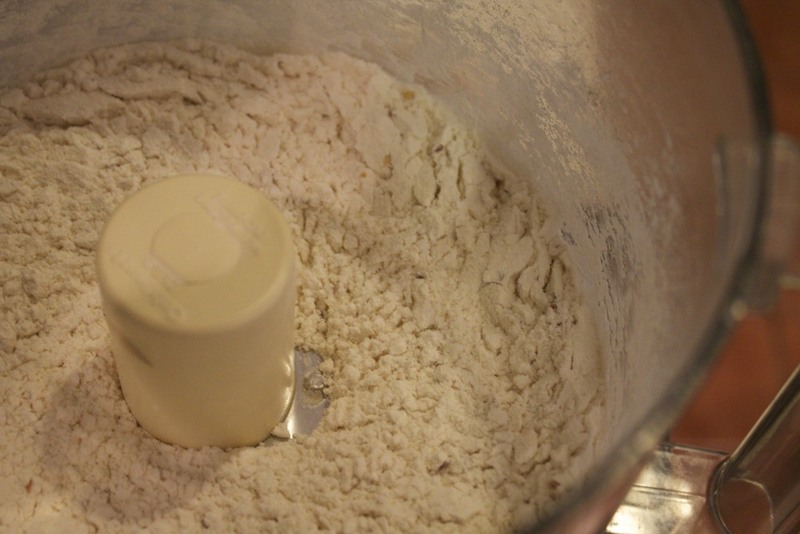 The weather can make a difference as can the type of flour you use. You will need at least 3/4 C total, probably more. You want the dough to come together, but you don't want it wet enough to be sticky. If you add too much water, don't panic. Just add a little more flour. One of the great things about this recipe is how forgiving it is! When you have enough water and the texture is right, leave it in the processor and let it run for a few minutes. If you do this then you eliminate the kneading process. 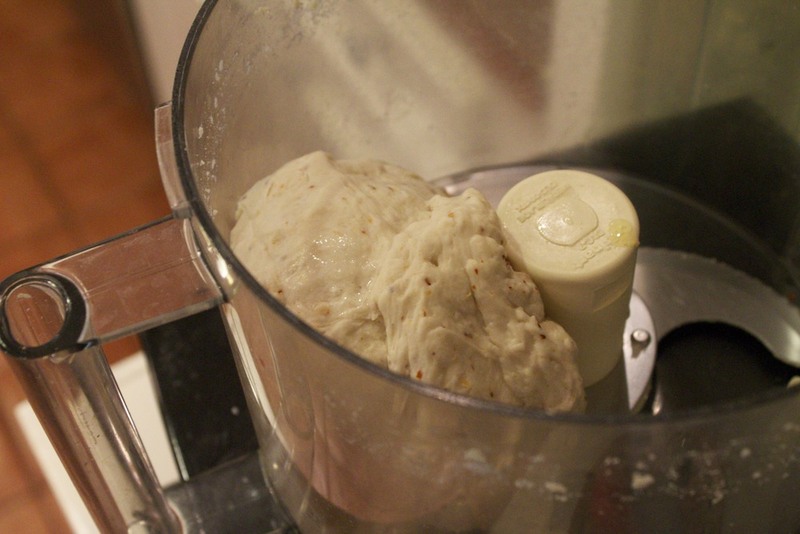 You will end up with a nice smooth ball of dough. 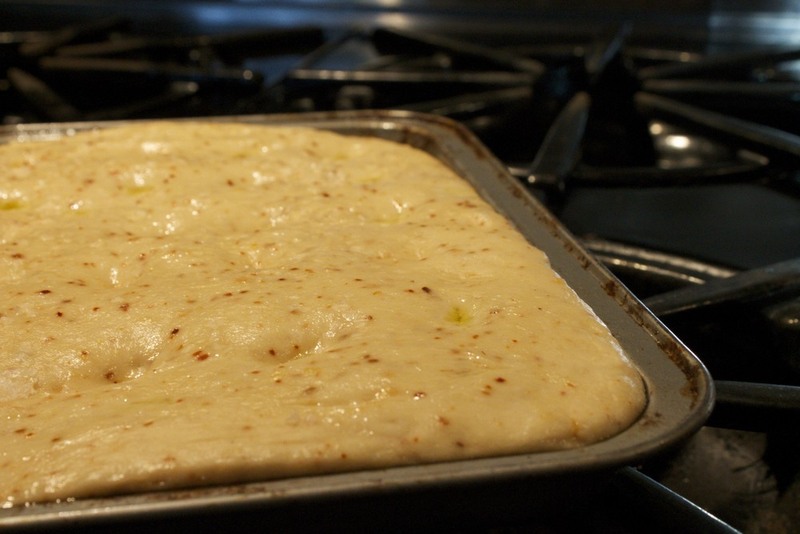 I have a little sheet pan that I always use for my focaccia. I don't remember where I got it, but it's the perfect size for this recipe. It measures 6"x10" and has a 1/2" lip. I grease the pan then dump the dough onto it and press it into shape. If you don't have anything this size, you can just form it by hand and put it on a regular cookie sheet. Once you've pressed it into shape, make small indentations on the surface using your finger or the end of a wooden spoon. 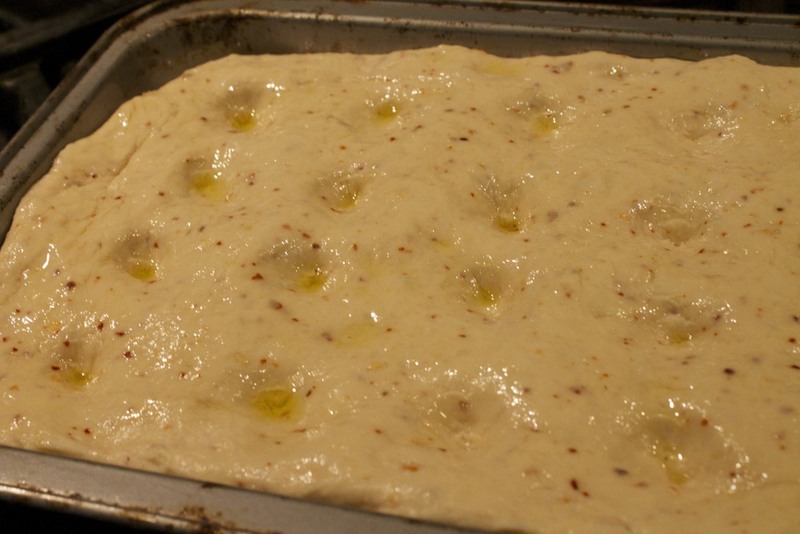 Brush the top with olive oil and sprinkle with coarse salt, then cover it and set it aside to rise. The longer it sits, the more it will rise. Today I was in a hurry, so I only let it rise for about 30 minutes before I had to cook it. If you've got at least an hour, it will rise more. Bake at 350 degrees for about 30-40 minutes or until it's golden brown. The time will vary depending on the shape/size you end up forming. I always add a little more olive oil and salt to the top after it's cooked. 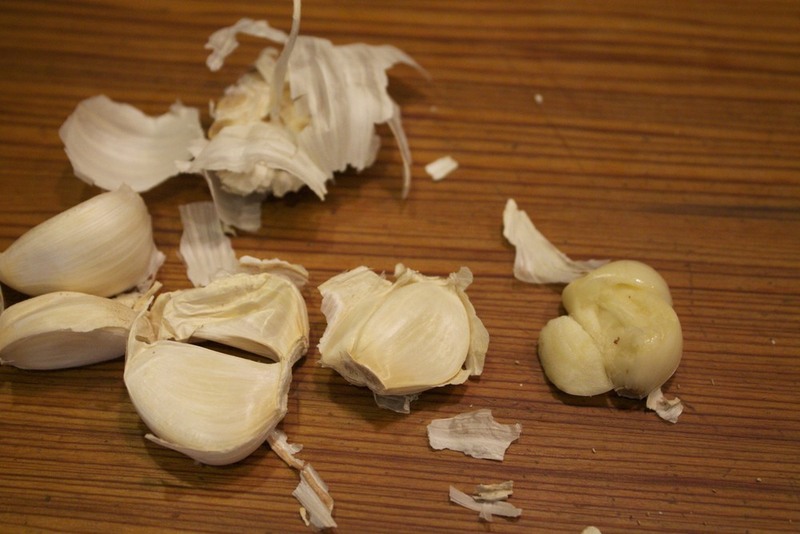 Play around with this recipe and you will have unlimited varieties you can come up with. Posted in In The Kitchen and tagged with focaccia, bread, garlic, red pepper flakes. August 26, 2013 by Lynn Adams.